Toledo Veterinarian | St. Francis Veterinary Hospital-Sylvania,Ohio – Veterinarian & Pet Hospital serving Toledo & Sylvania, Ohio. 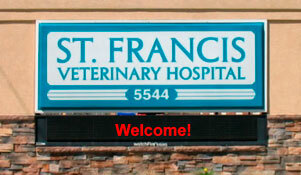 Welcome to St. Francis Veterinary Hospital. We are Sylvania’s pet hospital of choice for many in and around our surrounding Sylvania & Toledo neighborhoods. With over 45 years of combined practice experience, Drs. Dillon and Chalfin strive to be on the cutting edge of veterinary medicine and provide your pet with the best options available. So, when you’re looking for professional veterinary services, call, book on-line or stop into St. Francis Veterinary Hospital. 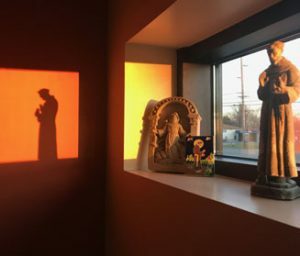 Our state of the art hospital was founded on the principle shared by the beloved St. Francis: to take care of God’s creatures great and small. All of us here at St. Francis Veterinary Hospital adhere to this philosophy by providing the highest quality medical and surgical care to your precious pets. They take excellent care of my animals. Seem to really care about the animals. Only place I’ll take my pets full service and knowledgeable staff. One of the best places to take your pet. They treat you and your pet as family. They have affordable care and accept CareCredit. Dr. Dillon is amazing. He and the staff he chooses to work for him are great! They also offer grooming on site. Casey, who does the grooming is amazing.